Imagine a day where you wake up on a beautiful clear morning in the centre of historic Salamanca of Hobart, meet with your guides and fellow travellers over a freshly brewed coffee before heading to the coast to see the “Lady Eugenie” anchored off shore in the bay with Maria Island sitting majestically in the background. This is where you feel the sand between your toes for the first time and automatically sets you into holiday mode. 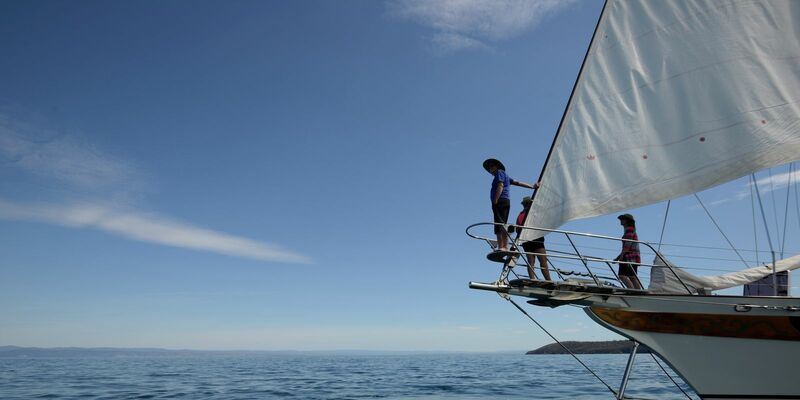 A short ride in the tender out to "the Lady" and then set sail for Maria Island and 4 days of the ultimate Sailing/Hiking on Tasmania’s East Coast. A climb to one of the most stunning views in Tasmania (Bishop & Clerk) to look North across to Schouten Island and the Freycinet Peninsula and to see where this adventure will unfold over a hot cup of tea allows you the time to realize that in only 5 hours you already feel like you have been on holidays for a week. 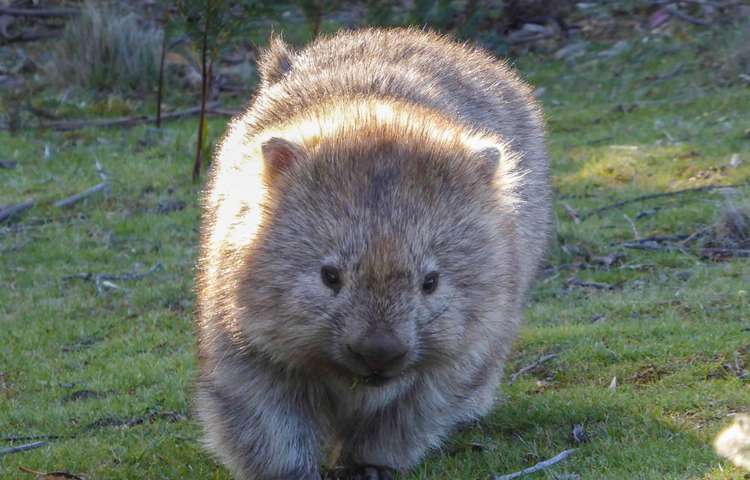 Imagine seeing Tasmanian Devils wildly running past you as you are trying to take photos of wombats in the late afternoon sun. 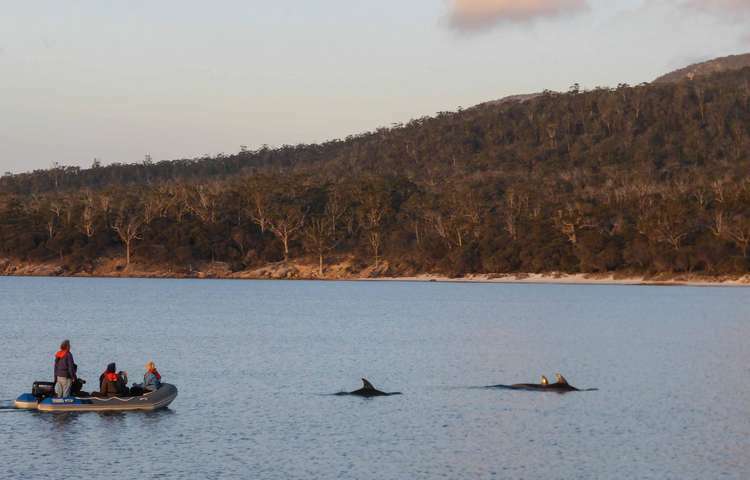 Throw in the Eastern Grey Kangaroos, Cape Barron Geese and Bennett’s Wallabies and this island feels like you are walking around an animal safari park as you return to your night’s stay aboard the Lady Eugenie. Having a few celebratory drinks over canapés as the sun sets over the mainland of Tasmania. Stories are shared and laughs are contagious as with your new found friends you relive the day’s events. Then imagine once you have finished a 3 course meal that can only be described as perfectly matched with the accompanying wine you gather on the stern of your new home to watch the Aurora Australis dance throughout the night sky. Greens, oranges and yellows fill the southern sky to collective group OOOOOOHHHHHHHH’s and AAAAAAHHHHHHHHHHH’s. 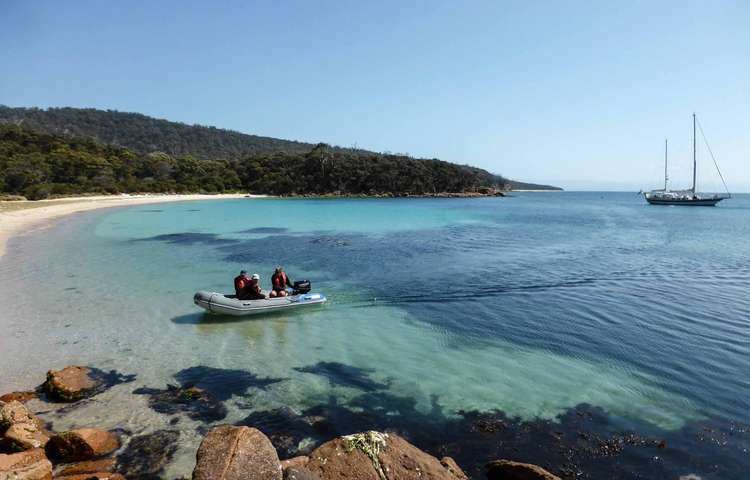 This was day 1 of our Wineglass Bay Sail Walk. At the end of the night you can only lie in bed and wonder what could the next 3 days possibly include to beat this.